Yep, thats what I'm doin..... I've been missing from my blog for quite a long time and honestly, it's because I haven't had to desire to blog nor have I had any ideas to write about and then lately it hit me why I have had blog block...I wasn't writing or posting about things that are me.. Instead, I was worrying about blog exposure, blog content like crafting, cooking, organizing etc..
Now I will admit, I do like crafts, and I do like organizing things in my home but, cooking? Sorry, not one of my favorite things to do.. I was reading tons and tons of blogs from all these super bloggers, super moms, super crafters etc and trying to be someone or blog about somethings I am not and don't really have interest in..Some of these blogs I read are really awesome but I just don't have the time nor the desire to try and keep up with the Blogses.. I decided, while I do like having a blog Im going back to what I did when I originally began my blog a few years ago.. Im going back to writing about my life and all it entails.. Sometimes I may share a new idea, or recipe if I happen to trip over one, an I"ll literally have to trip over it to find it because I don't usually seek them out but I feel my blog needs to go back to it's roots.. Some will like to read it and some won't.. For me, blogging is like therapy. It helps me put down all the things that swirl around in my crazy brain, things that happen in my life, things I am interested in... Thats what my blog was always about and thats what it's going to be about again.. So, I hope you'll continue to read my blog and enjoy my writings.. It's time for me to get back to keepin it real..
My next post will be about me.. I know I have some new readers and I'd like to share with you who I am .. Hope you'll stay tuned! 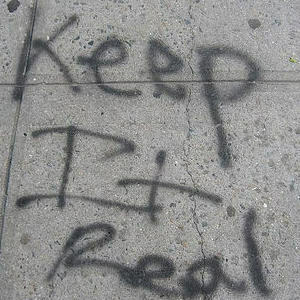 I do not do as much blogging, but I do think keeping it real is good. I have been doing more pinterest and facebooking I guess! ha! Anyway-- I blog about my life. Some of it is more private at times than the rest of it...but it's about me, The Honey (a.k.a. my husband) the 4 acres, the Littles (my grandkids), my newest interest-- all things chickens!